Brennan's Service Center Offers Auto Repair Services You Can Count On! Since 1988, Brennan's Service Center has provided motorists in the Egg Harbor Township, NJ 08234 area with comprehensive auto repair services that include Alignment, Brakes, Car & Truck Care, Domestic Cars & Trucks, Electrical Services, Electronic Services, Engine & Transmission, Engine Maintenance, General Services, Heating and Cooling Services, Import Cars & Trucks, Inspections and Emissions, Miscellaneous Services, Quick Lube Services, Tires, Towing, Transmission Services and Undercar Services. Our goal is to offer the best services available at affordable prices to get you back on the road in no time. 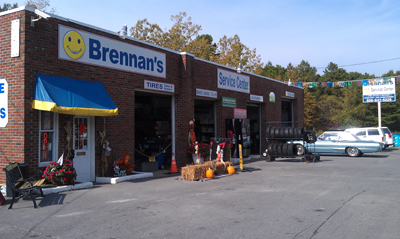 For a high-performing vehicle, trust Brennan's Service Center with your car, truck, or van. To learn more about the services we offer, please contact us by phone at 609-641-5226 or send us an email. We also invite you to learn more about our dedication to you, our valued customer. Took my daughter's car to Mike for new tires and he fixed a rim that I thought we had to replace. He saved her a great amount of money. Mike's mechanics did an excellent job and I will recommend them highly. Excellent work! Great customer service and lowest prices compared to any other repair shop. Been taking all of our vehicles here for years and have never had nay issues. Always been a satisfied customer! Brennans auto service has a new owner Master mechanic Kevin Pearl. He has a true concern for customer satisfaction has a great personality and is a pleasure to deal with YOU CAN TRUST HIM which is just as important as getting the job done right the first time. 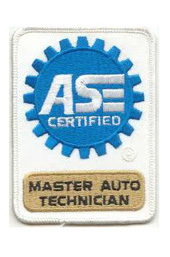 If your car needs to be serviced you owe to your car to give Kevin a try. Your car will be glad you did. After taking my son to Kevin for auto service back in 2014 and realizing that he genuinely cared for my kid's safety I won't go anywhere else. Unfortunately my son bought the 1st used car he found when he turned 17 & he poured over 7 grand in repairs the past 2 years. Honestly if we went anywhere else it would've been easily over 10 grand. My son left for freshman yr college & sold the car to my middle daughter. She's up in school over 21/2 hours away and I only trust her with the car knowing that Kevin Pearl does all the service. He's very honest & thorough. If he's out of the shop he has his mechanic Ruben filling in and he's awesome too! If you want dependable honesty go no further!